Listings are in reverse chronological order. Scroll down to the date you want. Our Unitarian Universalist faith teaches us that Pride is a virtue, not a sin. 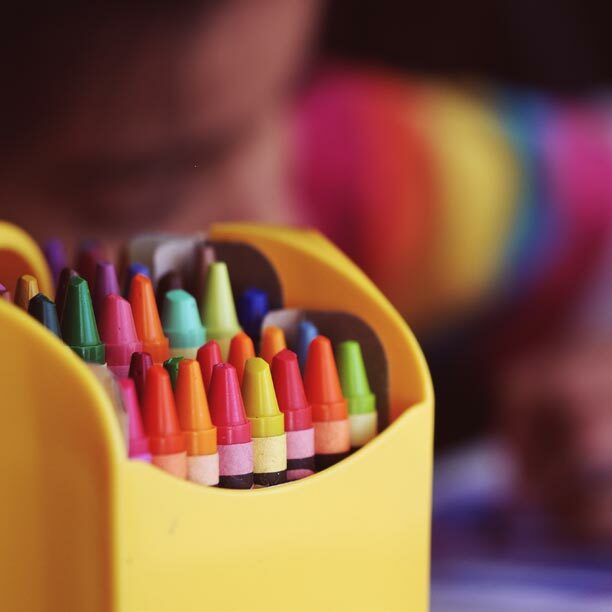 We look to our values and theological background to spread a message of ultimate love and acceptance, against a warped religious culture of shame. Being LGBTQIA+ is something of pride, that we celebrate as sacred. "Prison reform is now in vogue, but police power remains as brutal as ever. Policing in the US continues to include the power to cage as well as the power to kill — a reality that is spectacularly evident at the southern US border. By all accounts, 2019 promises to be another brutal year in the arena of prisons and policing." From an article in Truthout: “Prison Reform” Is Not Enough. In 2019, Let’s Fight for Decarceration"
Based on the book House of Hope, there are many ways our progressive values give us inspiration to face the 21st century. But what about here, in this house. When I look around there is inspiration everywhere. Come look within yourselves, right under your feet, to find out that hope has come alive. ​Passover Seder: Welcome the Stranger. Protect the Refugee. The Passover Seder plate is one of the oldest symbolic representations of the Jewish people’s historic refugee experience. In the face of unprecedented efforts to limit refugees’ ability to seek safety in the United States – even as more people are displaced by violence and persecution than ever before – these powerful symbols of both the unimaginable suffering and the boundless resilience and hope of refugees feel particularly poignant. All are welcome to join our seder as we recall the experiences of slavery and oppression of the Jewish people, and express our communal yearning for liberation from the slavery and oppression that afflicts us today. Governors Island ferry terminal is next to the Staten Island Ferry Terminal in Manhattan. ​Catch a 10AM or later ferry. Carpool to the Brooklyn Waterfront Artists Coalition (BWAC) site to meet Robin Locke Monda at its entrance (499 Van Brunt Street, opposite the Fairway Market) at noon. Park in the Fairway parking lot. Enjoy the BWAC exhibits; then stroll Red Hook's waterfront, with its vista of New York Harbor spanning the Statue of Liberty to the Verrazano Bridge—one of the best views in the city! Enjoy a lunch at Brooklyn Crab (across from the Fairway parking lot) or grab a salad or sandwich at Fairway Market and eat it at one of their outdoor tables, overlooking the waterfront. Due to difficulties in arranging a group tour of Weeksville, one of America's first free black communities in the pre-Civil War 19th century, a new event is being offered, not on Saturday but instead on Sunday, August 12th. Explore the drama of social activism in New York City from the 17th century to the present. In a town renowned for its in-your-face persona, citizens have banded together on issues as diverse as civil rights, wages, sexual orientation, and religious freedom. Using artifacts, photographs, audio and visual presentations, as well as interactive components that seek to tell the story of activism in the five boroughs past and present, Activist New York presents the passions and conflicts that underlie the city's history of agitation. Meet Sarah Dolinar and Ruth Benson at in the Staten Island Ferry Terminal at 10:15AM to catch the 10:30AM ferry. We will take the #4/5 subway to the Museum of the City of New York, 1220 Fifth Ave at 103rd Street. Join us in the peaceful UCSI Memorial Garden for our annual commemoration of the atomic bombings of Hiroshima and Nagasaki on August 6 and August 9, 1945. We will read aloud excerpts from John Hersey's "Hiroshima", the story of six survivors of the blast. Join us for a guided walk in Jones Woods. We will meet Naturalist John Kilcullen at 10 AM at Franklin Ave and Arnold St, for an easy 90-minute walk in a new City Park. The 17-acre wooded property is one of the latest additions to the NYC Parks Department nature walks. The six acres of land, along with two additional adjacent lots, were taken by eminent domain by the City of New York. At that time, Jones Woods Park was established. While it has been threatened numerous times by residential developments, Jones Woods Park has retained the almost-seventeen acres that make up its site. ​Be sure to prepare appropriately: Shoes or boots and socks, hat, sunscreen, and insect repellent. Join Virginia Allen for a tour of the Shomburg Center. We will meet in the Staten Island Ferry Terminal at 10:15AM to catch the 10:30am ferry. We will take the 2/3 subway to 515 Malcolm X Boulevard at 135th Street. The Center consists of three connected buildings: The Schomburg Building, the Langston Hughes Building, and the Landmark Building. It is recognized as one of the leading institutions focusing exclusively on African-American, African Diaspora, and African experiences. Begun with the collections of Arturo Alfonso Schomburg 92 years ago, the Schomburg has collected, preserved, and provided access to materials documenting black life in America and worldwide. It has also promoted the study and interpretation of the history and culture of people of African descent. In 2015, it won the National Medal for Museum and Library Service. Join certified Zhineng QiGong teacher, Ellen Looft, to learn how you can enjoy your life by improving your mind and body. The effectiveness of Zhineng Qigong comes from Dr. Pang’s Hunyuan Entirety Theory, which states that everything in the universe is united into a oneness. We are able to draw from the vast energy field, called hunyuan qi. Every being, indeed every thing, is composed of its qi. Ellen Looft is a certified Zhineng Qigong teacher based on Staten Island. She teaches at both Island YMCAs and at Snug Harbor Cultural Center. To build community, we have arranged for UCSI members to attend a Sunday service at the UAME Church in Stapleton at 49 Tompkins Ave. We will be accompanied by Staten Island historian, Debbie-Ann Paige, who has written extensively about the Draft Riots on Staten Island. It is a little known fact that the Stapleton UAME church has some Civil War era history in common with the UCSI. The UAME was targeted in the Draft Riots of 1863, because white men, who were angry because they couldn’t afford to pay the fee to avoid conscription, set fire to homes owned by black people in Staten Island and elsewhere in NYC, and committed other acts of violence against blacks throughout the City. Officially 200 blacks were killed but most historians think the deaths numbered in the thousands citywide. Members of our congregation were also targeted because of their abolitionist views and because the church had a black sexton, but they avoided the violence directed at the black population on Staten Island. The UAME church was spared, and survived, in part, through the efforts of a local Presbyterian Church minister and his congregation. As we look back over the past church year, we remember the ways we lay the ground wok for the years and generations to come. Join us on visioning for he future, while remembering and celebrating our accomplishments. The annual congregational meeting follows the service. How music moves us remains a mystery. How Pete Seeger moved his listeners is no mystery at all. He understood that listening is not enough. His “hootenannies” transformed passive listeners into full-throated actors, making them a part of the medium and the message. 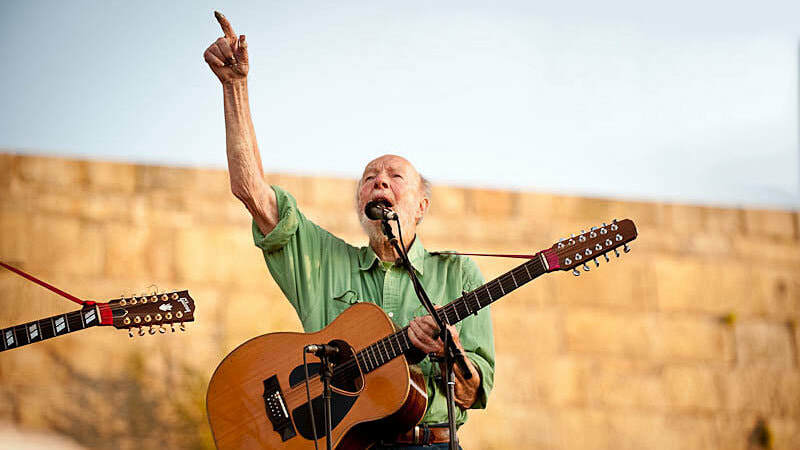 Please join us as we explore the life of Pete Seeger and unite through his songs. Want a chance to better reflect and share your thoughts on the service topic? Then join us to talk further about the service in our post service discussion. Get a chance to connect with members. Susanne Vejdemo and Ashley Santangelo lead these discussions. 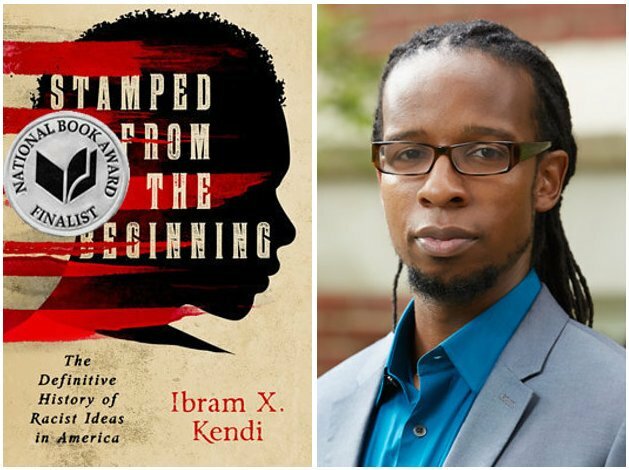 The current selection in the Black Lives Matter Committee’s Book Discussion Series, Stamped From The Beginning: The Definitive History of Racist Ideas in America by Ibram X. Kendi, is a dense, deeply researched examination of the origins of racist thinking, deserving of significant attention. We will continue to discuss this book in subsequent sessions. Historian Debbie-Ann Paige will lead our discussion. She has suggested that, in order to contribute to the conversation, people be prepared with specific ideas/concepts derived from their reading of Part IV: W.E.B. Dubois and Angela Davis. If you are not able to read the book please join us for the conversation, which is sure to be engaging. This interview gives a substantive overview of the main themes in the book. RE classes will explore Moral Tales, a UU Curriculum that looks at tales across all faiths and explores the moral questions held within. Families join in the fun! Want to further explore what you think about life? Wanting to share your life experiences in greater depth? In Building Your Own Beliefs, adapted from Building Your Own Theology, we will talk about our spiritual journeys and learn more about different ways of thinking and believing. This adult education class led by Rev. Emily DeTar, is open to everyone curious about different beliefs.